Match ends, Monaco 0, Paris Saint Germain 4. Second Half ends, Monaco 0, Paris Saint Germain 4. Attempt blocked. Benjamin Henrichs (Monaco) left footed shot from a difficult angle on the left is blocked. Assisted by Sofiane Diop. Corner, Monaco. Conceded by Thilo Kehrer. Corner, Paris Saint Germain. Conceded by Samuel Grandsir. Attempt missed. Youssef Aït Bennasser (Monaco) right footed shot from outside the box is high and wide to the right. Assisted by Sofiane Diop. Substitution, Paris Saint Germain. Eric Maxim Choupo-Moting replaces Christopher Nkunku. Substitution, Paris Saint Germain. Ángel Di María replaces Moussa Diaby. Foul by Samuel Grandsir (Monaco). Attempt missed. Pelé (Monaco) right footed shot from outside the box is high and wide to the right. Assisted by Sofiane Diop following a corner. Attempt missed. Samuel Grandsir (Monaco) right footed shot from outside the box is close, but misses the top left corner. Substitution, Paris Saint Germain. Stanley N'Soki replaces Julian Draxler. Substitution, Monaco. Han-Noah Massengo replaces Radamel Falcao. Attempt saved. Kylian Mbappé (Paris Saint Germain) right footed shot from the centre of the box is saved in the bottom right corner. Assisted by Christopher Nkunku with a cross. Corner, Paris Saint Germain. Conceded by Diego Benaglio. Goal! Monaco 0, Paris Saint Germain 4. Neymar (Paris Saint Germain) converts the penalty with a right footed shot to the bottom right corner. Penalty conceded by Djibril Sidibe (Monaco) after a foul in the penalty area. Attempt saved. Neymar (Paris Saint Germain) right footed shot from the left side of the box is saved in the centre of the goal. Assisted by Kylian Mbappé. Attempt blocked. Christopher Nkunku (Paris Saint Germain) right footed shot from the right side of the box is blocked. Assisted by Julian Draxler. Corner, Paris Saint Germain. Conceded by Wilson Isidor. Foul by Wilson Isidor (Monaco). Attempt blocked. Wilson Isidor (Monaco) right footed shot from the left side of the box is blocked. Corner, Monaco. Conceded by Christopher Nkunku. Attempt blocked. Djibril Sidibe (Monaco) right footed shot from the right side of the box is blocked. Assisted by Samuel Grandsir. Attempt saved. Benjamin Henrichs (Monaco) right footed shot from outside the box is saved in the bottom left corner. Assisted by Sofiane Diop. Goal! Monaco 0, Paris Saint Germain 3. Edinson Cavani (Paris Saint Germain) right footed shot from very close range to the bottom right corner. Assisted by Moussa Diaby. Attempt blocked. Wilson Isidor (Monaco) right footed shot from outside the box is blocked. Attempt missed. Neymar (Paris Saint Germain) left footed shot from long range on the left misses to the right. Corner, Monaco. Conceded by Adrien Rabiot. Substitution, Monaco. Wilson Isidor replaces Jordi Mboula because of an injury. Delay in match Jordi Mboula (Monaco) because of an injury. Second Half begins Monaco 0, Paris Saint Germain 2. First Half ends, Monaco 0, Paris Saint Germain 2. Goal! Monaco 0, Paris Saint Germain 3. Julian Draxler (Paris Saint Germain) right footed shot from the left side of the box to the bottom right corner. Assisted by Christopher Nkunku with a through ball. Attempt saved. Moussa Diaby (Paris Saint Germain) left footed shot from the right side of the box is saved in the bottom left corner. Assisted by Kylian Mbappé. Attempt blocked. Samuel Grandsir (Monaco) right footed shot from outside the box is blocked. Assisted by Sofiane Diop. Foul by Sofiane Diop (Monaco). Attempt saved. Moussa Diaby (Paris Saint Germain) left footed shot from outside the box is saved in the top left corner. Assisted by Christopher Nkunku. Attempt saved. Christopher Nkunku (Paris Saint Germain) right footed shot from outside the box is saved in the top centre of the goal. Assisted by Julian Draxler. Offside, Paris Saint Germain. Christopher Nkunku tries a through ball, but Kylian Mbappé is caught offside. Foul by Benjamin Henrichs (Monaco). Foul by Jordi Mboula (Monaco). Attempt missed. Benoit Badiashile Mukinayi (Monaco) right footed shot from the centre of the box is too high following a corner. Corner, Monaco. Conceded by Edinson Cavani. Attempt missed. Jordi Mboula (Monaco) left footed shot from the centre of the box is too high. Assisted by Sofiane Diop. Attempt missed. 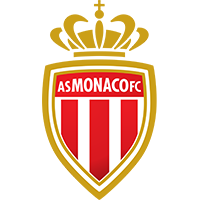 Sofiane Diop (Monaco) right footed shot from the centre of the box misses to the left. Assisted by Djibril Sidibe with a cross. Substitution, Monaco. Jordi Mboula replaces Nacer Chadli because of an injury. Attempt blocked. Radamel Falcao (Monaco) right footed shot from the centre of the box is blocked. Assisted by Samuel Grandsir with a cross. Goal! Monaco 0, Paris Saint Germain 2. Edinson Cavani (Paris Saint Germain) right footed shot from the centre of the box to the centre of the goal. Assisted by Moussa Diaby. Delay in match Nacer Chadli (Monaco) because of an injury. Attempt missed. Moussa Diaby (Paris Saint Germain) right footed shot from the centre of the box is too high. Assisted by Julian Draxler following a corner. Offside, Paris Saint Germain. Neymar tries a through ball, but Edinson Cavani is caught offside. Attempt missed. Sofiane Diop (Monaco) right footed shot from outside the box is too high.